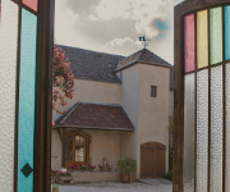 Located in the heart of the "Cote d'Or" in the village of Nuits Saint Georges, they have grown to thirty-six acres of vineyards and a modern gravity flow winemaking facility where they produce Bourgogne, Village and Premier Cru wines. Henri's philosophy from the old maxim, "It is on the vines that great wines are made" has endured through each subsequent generation. 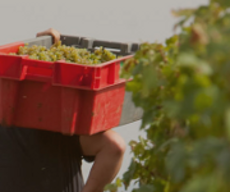 Respecting the land, the environment, and the traditions of the region have been at the heart of their winemaking. Great care to nurture the soil and vines has lead to the highest quality fruit while controlling yields for optimum results.  Illustration of our tâcheronne Ghislaine DODET - Link towards its blog at this bottom page. Coming from slightly more than 1.5 acres producing Pinot Blanc grapes, the vineyard is about 1200 feet above sea level on the plateau that dominates the Cote de Nuits. It is planted on shallow and rocky soil composed of red clay and produces forthcoming and aromatic wines. The vines are from a selection in the Premier Cru vineyard La Perriere. This bottling consists of an assembly of seven plots, Les Plateau, Les Crots, Les Belles Croix, Les Fleurieres, Les Brulees and Les Chaliots covering an area of about 7.5 acres. The majority of these parcels are located South of Nuits Saint Georges on the hillside with deep soils, a mixture of clay, alluvium and limestone pebbles. Only Le Crots is located at the top of the hill on thin calcareous Brown soil. This wine is straight forward and generous and requires only a few years before tasting, which is when it will unveil its true potential. 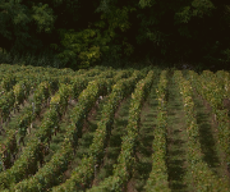 Les Chaignots is the only Premier Cru that the estate produces in the northern part of the appellation. This plot spreads down the hillside on grassy soils composed of clay, limestone and alluvial deposits from the Combe de la Serree, a small river descending from the Hautes-Cotes. This terroir produces wines that are renowned for their delicacy and elegance. This is a monopole of the Domain of about 9 acres. It is located just below the Perrières. It is a former quarry of Nuits Saint Georges, which was exploited by the monks of Citeaux. The Porrets are cited by Dr. Lavalle in 1855 when he documented Burgundy wines. His book considers this one of the best vineyards in the village. This wine is 100% Pinot Blanc grape. The grape is a mutation of Pinot Noir and was discovered by Henri Gouges, founder of the estate, during an inspection of his vines in the Clos des Porrets. This Pinot Blanc is often referred to as 'Pinot Gouges'. The Premier Cru La Perriere is produced, as its name suggests, on an old quarry of stones with calcareous soil. This unique wine offers a powerful, complex and atypical presentation. This is due to the distinctive grape variety and a very low yield. This plot, with an area of two and a half acres is located South of Vaucrains and above the renowned Saint Georges. The steep slope, which ranges from 850 to 1000 feet above sea level, is composed of yellowish Brown, light and sandy soils. The fruit produced here delivers fine wines that have the capacity to open with greater ease than its Neighbors. 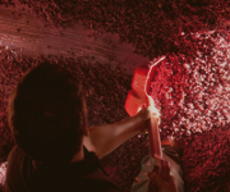 Located on the South slope of the village, our two parcels are assembled during the vinification. The total acreage is 4.5. This Premier Cru heads uphill from about 800 feet above sea level. One finds a great complexity of soil, from the flush rock to the scree coming down from the top. Vines are an average age of about 50 years. This Premier Cru is a powerful and well-structured wine with good aging potential. Half way between Premeaux and Nuits Saint Georges, Les Saint Georges is undoubtedly the most celebrated wine of the commune. Ideally positioned on the hillside with full east exposure, the vines blossom here on a great diversity of soil. 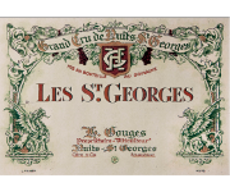 Les Saint Georges are complex and elegant wines marked by the purity of the fruit, the finesse of the tannins and the nobility of the vineyard. Located at the exit of the valley of the Vallerots and just above the famous plot of Saint Georges, this plot is in the middle of the hillside, delineated at its highest point by the edge of the forest. The production of grapes is naturally very low making these very concentrated wines. 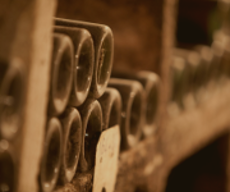 They are characteristic of their terroir with freshness and minerality. 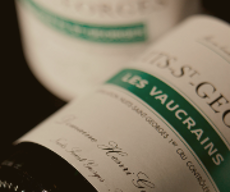 Les Vaucrains are exceptional wines, which require a good ten years to reveal their full potential. The fruit from two parcels is assembled for this wine. 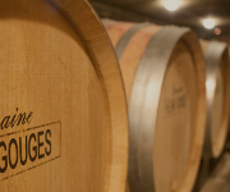 The first, known as Des Dames Huguettes is one of the most beautiful parcels of the Hautes Cotes de Nuits. The other is located at the bottom of the hill at the entrance to the village in the Les Petits Chaliots vineyard. Accessible in its youth, this wine of the regional appellation possesses richness and structure.